Mr. Bridenstine – It is my honor. Thank you. Chairman Diaz-Balart, Ranking Member Price, Mr. Culberson and Mr. Valadao, it’s an honor to be here. I wanted to bring up something regarding infrastructure that a lot of people don’t think about. When you think about infrastructure, when you think about roads, and bridges, highways, we think about hospitals and schools. One piece of infrastructure that I think a lot of people don’t consider is launch. Space has transformed our way of life. The way we communicate, the way we navigate, the way we produce food, the way we produce energy, the way we provide security, do disaster relief, the way we do banking depends on GPS for example. All of these capabilities require infrastructure and as you look how things are moving forward now, what used to be the domain of government, space, is now the domain of private operators and commercial operators. And when you think about things like remote sensing and imagery, the National Geospatial-Intelligence Agency now uses a commercial space program to buy data from commercial providers for intelligence. When you think about communications the Department of Defense, for its routine communications, uses about 80% commercial satellites. Satellites that are launched to provide broadband from space, DirectTV, the internet, are now being leased by the Department of Defense to provide communication capabilities for the warfighter. When you talk about all different sorts of activities happening in space commercial providers are now carrying a heavy load. What we need to do within the FAA Office of Commercial Space Transportation is make sure that they are adequately funded for all the upcoming launches. Everything I just described is historical. When you think about the future, we’re talking about hundreds if not thousands of satellites in low Earth orbit for remote sensing and imagery. When you think about communications we’re talking about hundreds many, many thousands of satellites. Boeing has a program, OneWeb has a program, SpaceX has a program. Each one of these low earth orbit communications constellations constitutes multiple thousands of satellites in low earth orbit that all are going to require launch and these companies are contracting overseas. In fact, last week American companies building imagery satellites for purposes that the Department of Defense will use, launched 96 American satellites on a foreign rocket. An Indian rocket to be precise. OneWeb has contracts worth billions of dollars with the Russians because we don’t have the capability here in the United States to deliver what they need. So, the office of Commercial Space Transportation, which is within the FAA, in my estimation needs to be fully and adequately funded just so that we can go forward with these new programs that are going to change the way we think about space. And of course, where does that begin? The Office of Commercial Space Transportation within the FAA is the regulatory body. That is true. But they are also the body that is necessary to promote and facilitate commercial space industry. Right now, they are funded under a Continuing Resolution at a level that I believe is inadequate. Last year I came to this committee and I requested 19.8 million dollars which don’t seem like a big number. But that is what was in the President’s budget request and what the appropriations process came to was an amount less than that and then you guys delivered and I thank you for that. The challenge is operating under a Continuing resolution that 19.8 million dollars never materialized. So I would ask this year to take care of these needs that are transforming the way we think about space and the way it’s transforming the human condition on Earth. I am requesting that the office of Commercial Space Transportation within the FAA, sometimes call FAA/AST, be funded to the tune of 23 million dollars. With that, I’ll be open to any questions. Mr. Price – Let me just say I thank the gentleman for his testimony, it’s very convincing. Am I to conclude also that you will strongly back picking up the remaining five months of the current fiscal year to take advantage of the appropriations bill that would be concluded in an Omnibus, as opposed to a year-long CR? Mr. Bridenstine – I will tell you I don’t like doing CRs. I will also tell you that what we need to do is go through the appropriations process because as I’ve just described the world has changed and we need to make sure that what we are funding as a government reflects that change. I don’t want to do a CR. If we do an omnibus and the priorities in there are appropriate I’m certainly willing to consider it. Mr. Price – You are giving us a very good example of why a serious appropriations bill with the detailed work that goes into it is preferable to automatic pilot. Mr. Bridenstine – Absolutely, yes sir, and I fully appreciate you making that comment. Mr. Price – Thank you, Mr. Chairman. Mr. Diaz-Balart – Thank you, Mr. Price, and I will tell you [Mr. Bridenstine] that you have been very effective working with this subcommittee and we appreciate your involvement and we appreciate your hard work and look forward to continuing doing so. And we agree with you a CR – a lot of folks don’t understand how devastating a CR is in so many ways. But again, I would be remiss if I didn’t thank you for your hard work particularly with your involvement with this subcommittee. It’s greatly appreciated. Mr. Bridenstine – Thank you for your support. Mr. Culberson – I also want to thank you Jim for your support for NASA, for the space program, and your understanding of the changing times in which we live the commercial sector is going to be getting us into low Earth orbit like it’s stepping out in front of the Rayburn building like catching a cab you’ll be able to catch a commercial ride into low Earth orbit. And you’re exactly right this agency needs to be, this portion of the FAA needs to be fully funded and really appreciate your support for getting a detailed appropriations bills on the floor not only this one but the Commerce, Justice, Science bill as well. Mr. Bridenstine – Would the gentleman yield for 15 seconds? When you think about NASA, this agency [FAA/AST] is critical for NASA to accomplish its mission because NASA is using commercial to get back and forth to the International Space Station. This agency could make that problematic if it’s not adequately funded. It’s not just NASA though it’s also the Department of Defense, it’s the National Oceanic Atmospheric Administration. This agency touches all of those and more which is why it’s so important. Mr. Culberson – I deeply appreciate your support for it and I want to also wish Jim good luck in his and I strongly support his application to become the new NASA administrator. 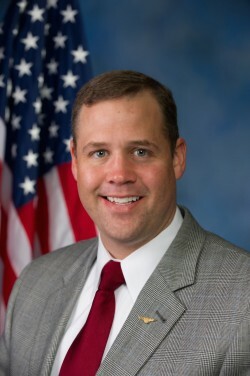 Jim would do a superb job with that position and I want to strongly express my endorsement and support for your work and I hope to see you become the new NASA administrator and look forward to helping you in that role. Mr. Diaz-Balart – Thank you very much. With Mr. Culberson’s strong endorsement, I think the gentleman who is testifying has had a good day.